Studies listed in this section specifically address helmet use and neck/spine injury. A common objection to helmet use is the fear that any benefit in preventing brain/head injuries may by offset by increased neck injuries, especially spinal cord injuries. This fear is rooted in the 1986 Goldstein study which concluded (among other things) that past a critical impact speed to the helmet of 13 mph, helmet use reduces the severity of head injuries at the expense of increasing the severity of neck injuries. The Goldstein results have been adopted by the anti-helmet community to justify resistance to compulsory motorcycle helmet use on the grounds that helmets may cause neck injuries. Other studies listed in this section specifically refute the results of Goldstein, the most damning is the 2016 replication of Goldstein which asserts Goldstein fabricated values for a variable that was missing, and used an invalid method of summarizing overall neck injury severity. The authors believe their paper sets the record straight on the association of helmets and neck injury and recommend that the Goldstein paper be retracted by Evaluation Review, the publisher of the original Goldstein study. The Cochrane review identified 12 studies that used neck injury as an out-come and reported that the data could not support any conclusion about the possible association between helmet use and the occurrence of neck injury. 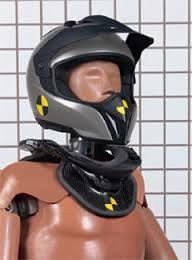 Other studies reported in this section find that both helmeted and unhelmeted riders suffer neck injuries or the relationship between helmets and neck injuries is dependent upon the type of crash (frontal, rear-end, side impact, etc.). On one hand, it seems clear that thirty years of wrong information has been disseminated by individuals and organizations opposed to helmet laws. On the other hand, the available research does not seem to eliminate any and all association between helmet use and neck injury. This is an October/September 2018 special edition of Riding Smart, the member newsletter of SMARTER. The research regarding helmets and neck injury is reviewed, the issue of neck pain and wearing a helmet is addressed and injury and pain preventative measures are discussed. 2018 – “Motorcycle Helmets and Cervical Spine Injuries: a 5-year Experience at a Level 1 Trauma Center. In this study, the authors investigate the association of helmet use with the incidence and severity of cervical spine injury. Helmeted motorcyclists demonstrated a significantly lower likelihood of sustaining a CSI. Additionally, unhelmeted riders demonstrated a proportionally higher number of cervical vertebral fractures. The results of this study demonstrate that motorcycle helmet use does not increase the risk of CSI. In addition, the results provide further evidence that helmet use should be implemented to reduce traumatic brain injury, crash-related mortality, cost of hospitalization, and CSI in motorcyclists. The authors of this study replicated the 1986 Goldstein models to understand how he obtained his unexpected results, and then applied modern statistical methods to estimate the association of motorcycle helmet use with head injury, fatal injury, and neck injury among collision-involved motorcyclists. The authors found Goldstein’s analysis to be critically flawed due to improper data imputation, modeling of extremely sparse data, and misinterpretation of model coefficients. This new analysis showed that motorcycle helmets were associated with markedly lower risk of head injury and fatal injury and with moderately lower but statistically significant risk of neck injury. The relationship between cervical spine injury (CSI) and helmet use in head injury (HI) patients following motorcycle crashes is crucial. Controversy still exists; therefore the authors evaluated the effect of various types of helmets on CSI in HI patients following motorcycle crashes and researched the mechanism of this effect. The HI patients using a helmet exhibited a significantly decreased rate of CSI compared with those without a helmet. A common objection to helmet use is the fear that any benefit in preventing brain injuries may by offset by increased neck injuries, especially spinal cord injuries. A little known follow-on study to the so-called Hurt Study investigated this hypothesis in detail. Helmeted riders were no more likely than unhelmeted riders to suffer spinal cord injuries. Abstract. This study was conducted to evaluate the effects of motorcycle helmets and the ways in which the accidents that occurred affected the incidence of cervical spine injury. It was found in frontal collisions, the use of helmets significantly reduces the severity of cervical spine injury, whereas in rear-end, side impact, and skidded accidents, the use of helmets increases the probability of a severe cervical spine injury. However, in the latter crash modes, a motorcyclist without a helmet will have to trade-off with head injury. The objective of this study was to determine the impact of motorcycle helmets on the likelihood of developing a cervical spine injury after a motorcycle collision. Helmeted riders had a lower adjusted odds and a lower proportion of cervical spine injury compared with nonhelmeted riders. Helmeted motorcyclists are less likely to suffer a cervical spine injury after a motorcycle collision. This finding challenges a long-standing objection to mandatory helmet use that claims helmets are associated with cervical spine injury. This is an extensive review of the literature comparing helmeted versus nonhelmeted riders on six (6) different crash outcomes. One of those outcomes was neck injury. 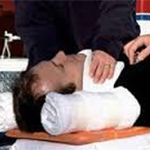 Twelve (12) studies were identified that used neck injury as an outcome. The authors reported that the data could not support any conclusion about the possible association between helmet use and the occurrence of neck injury. Abstract. Both helmeted and unhelmeted motorcyclists showed a high frequency of occult neck injuries such as hemorrhages in the carotid sheath or surrounding the vertebral arteries, phrenic nerve, or brachial plexus. 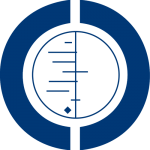 In this article, methodology and results of Goldstein's study are presented and evaluated, and evidence from other studies is presented. Due to methodological weaknesses in Goldstein's study, its results cannot be relied upon for policy formulation, particularly the repeal of mandatory helmet legislation. This is the controversial study by Goldstein that concluded that (1) motorcycle helmets have no statistically significant effect on the probability of fatality; (2) helmets reduce the severity of head injuries; and (3) past a critical impact speed, helmets increase the severity of neck injuries.